Lea Michelle is an American actress, singer and author. She started her career as a child actress on Broadway. Her mainstream success came from the TV show Glee. Lea loves getting inked and she has quite a few tattoos with significant meanings. Lea Michele’s third tattoo, which reads “Finn” is a tribute to her late boyfriend Cory Monteith who played the character of Finn Hudson on Glee. 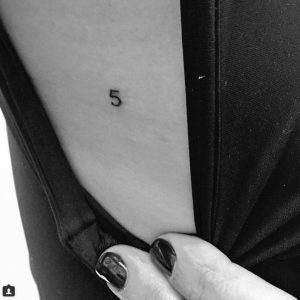 In the memory of her late boyfriend Cory, Lea got number 5 tattooed under her arm. Cory played Finn Hudson, star quarterback for William Mckinley High School on Glee and the number on his school football jersey was 5. The phrase “If you say so” tattooed on Lea’s rib cage apparently are the last few words Cory said to her during their final conversation. 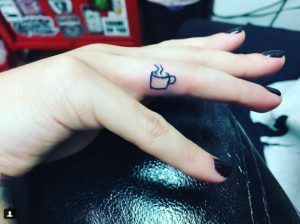 Lea got a tiny coffee cup tattoo on her finger in honor of her late grandmother. Leah’s grandma gave her her very first cup of coffee when she was only 8 years. Lea has the words “I Believe” tattooed on the inside of her right wrist, a song from her Broadway musical Spring Awakening. Lea has butterfly tattoos on the top of her right foot for her cousins. Lea has the word “Imagine” tattooed on her left foot. On the left side of her rib cage Lea got a tattoo of a Cross and words “My angel now” in the memory of her late grandmother. Lea has a pair of tiny music notes tattooed on her left shoulder. Lea had “Our City Our Love …” tattooed on the outside of her right foot which she later covered with butterflies. Lea has a tattoo of a gold star on her left wrist in honor of Rachel Berry. Lea had a red heart tattoo on her index finger later she got it removed. The butterfly tattoo on the back of her hip supped to be Lea’s first tattoo which she got with her mother. The Bird tattoo on the left front side of her waist represents freedom.